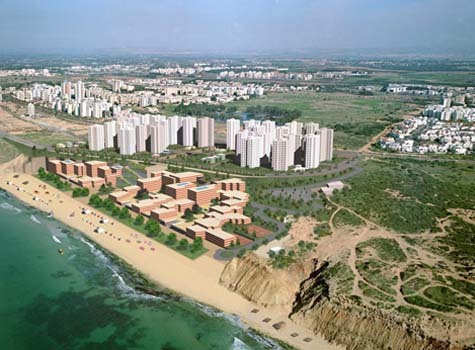 Description: Master plan, outline plan and detailed town planning scheme for "Waterfront of South Netanya", including removal of a large landfill, and plan for the southern tourist area on the Mediterranean coast, with Arch. Dov Koren. Main Figures: 2000 Housing Units, 1,100 Hotel Rooms + 3,500 Hotel Rooms.